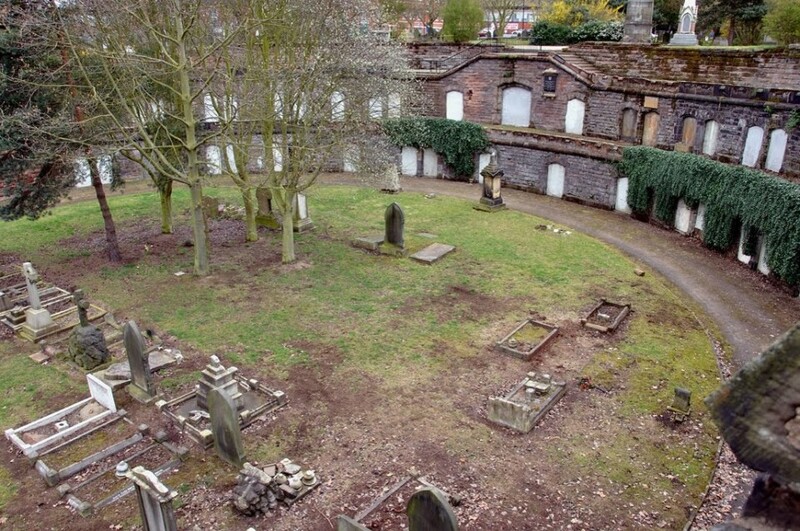 In 2014 Birmingham Conservation Trust was commissioned by Birmingham City Council to manage the development and submission of a second round Heritage Lottery Fund (HLF) application for a project to carry out major repair and conservation works at the two Jewellery Quarter cemeteries, Key Hill Cemetery and Warstone Lane Cemetery. We are currently assisting the city council achieve their permission to start from the HLF. 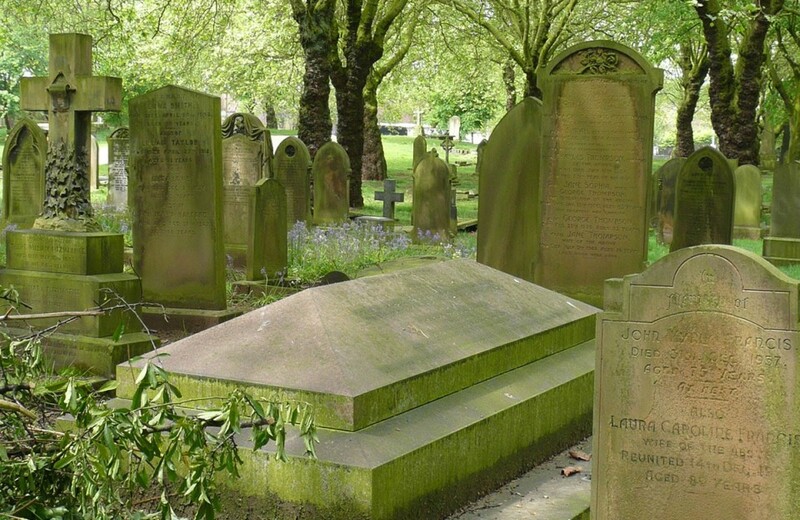 Both cemeteries are early examples of 19th-century cemeteries built to relieve the pressure on historic churchyards caused by the massive population growth of major towns like Birmingham. They were both laid out on the site of sand quarries on what was then the edge of town. The sheer quarry faces, used for catacombs, and other features of the quarries were used to create dramatic landscapes, enclosed by high cast-iron railings with imposing gates and interlaced with paths, with commanding views over Birmingham Heath. 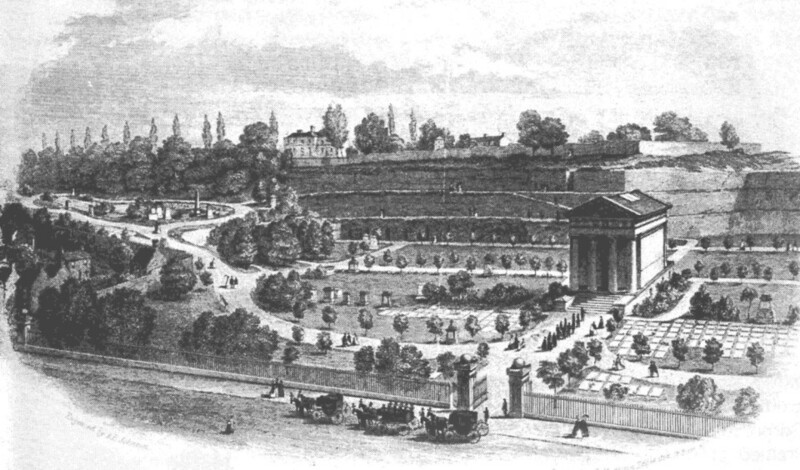 Key Hill was the first cemetery to be laid out, opening in 1836. It was created for Birmingham’s large and influential non-conformist community. The iconography of the cemetery is classical; this was reflected most clearly in the cemetery chapel, which was in the form of an austere Greek temple, unfortunately demolished in 1966. The adjacent Church of England Warstone Lane Cemetery was opened in 1848. Here the iconography is Gothic and although the impressive cemetery chapel was demolished in 1954 and the boundary railings around the same time, the Gothic cemetery lodge still survives. A major feature of Warstone Lane Cemetery is the catacombs, which form a dramatic amphitheatre, formerly linked to the chapel. As well as the differences in symbolism, the two cemeteries differ in other aspects of their character: the access to Key Hill Cemetery is tucked away, and it is leafy and secluded; Warstone Lane Cemetery is prominently visible and easily accessible from Vyse Street, the busiest street in the Jewellery Quarter, and has a much more ‘open’ character with fewer trees. 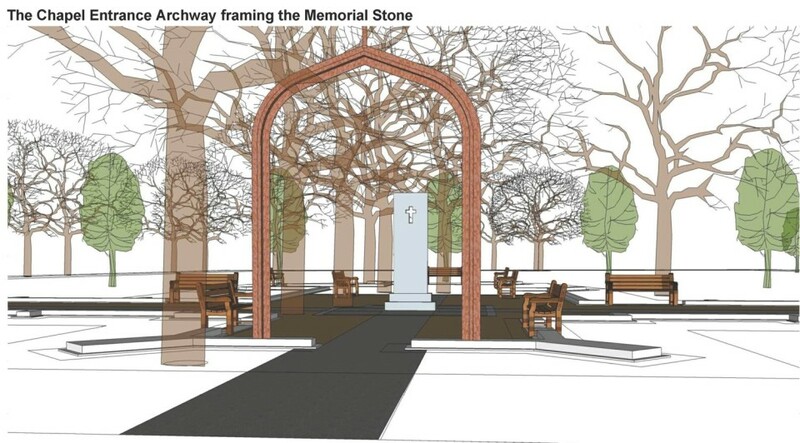 The HLF project will involve re-instating the railings and gates around Warstone Lane Cemetery, to the original elaborate Gothic design, so the cemetery is enclosed once again, and the creation of a central garden feature, laid out on the footprint of the former chapel, so that a visitor will get a much better sense of the historic layout of the cemetery. The catacombs at both sites will be repaired and restored, with new safety railings. At both sites there will be repairs to, and resurfacing of, paths, improvements to drainage, provision of many more benches, new interpretation panels, and tree works. The design work has been carried out by the City Council’s Landscape Practice Group. Accompanying the repair, conservation and restoration work will be an ambitious programme of activities, focussing on and drawing inspiration from the rich heritage of the two cemeteries. The aim is to encourage many more people, and a much wider range of people to visit, use and enjoy the cemeteries. Birmingham Conservation Trust has played a large role in the development of the Activity Plan and Interpretation Plan for the project. 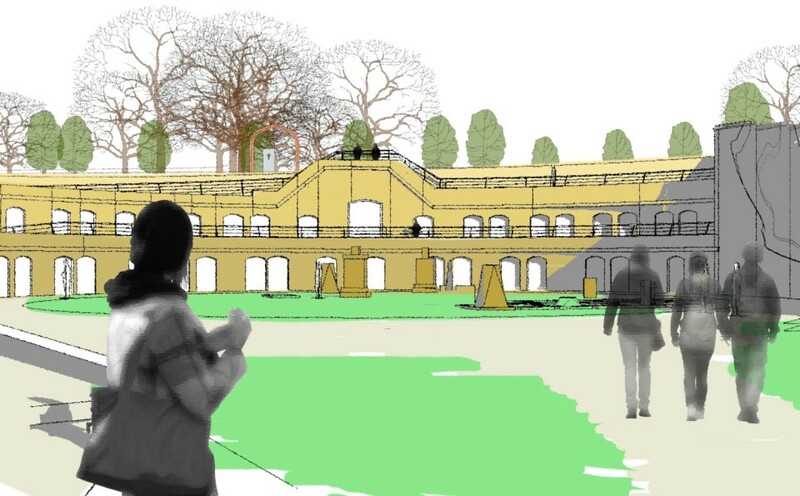 The successful outcome of the application was announced by the HLF in October 2015.